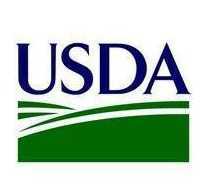 Listening Session to Be Held in Chicago, Ill.
WASHINGTON (September 11, 2018) – (RealEstateRama) — On October 1, 2018, the U.S. Environmental Protection Agency (EPA) will hold a public hearing on the proposed Affordable Clean Energy proposal in Chicago, Ill. The proposal would replace the prior administration’s Power Plan (CPP), which many have criticized as overly prescriptive and burdensome, with an approach that empowers states, promotes energy independence, and facilitates economic growth and job creation. Specifically, the ACE Rule establishes emission guidelines for states to use when developing plans to limit greenhouse gas emissions at their power plants. The hearing will convene at 9 am local time and conclude at 8 pm or until everyone has had a chance to speak. All persons wanting to speak are encouraged to register in advance. Registration information will be posted at https://www.epa.gov/stationary-sources-air-pollution/proposal-affordable-clean-energy-ace-rule. Oral comments and supporting information presented at the public hearing will be considered with the same weight as written statements and supporting information submitted during the public comment period. Written comments must be received by the last day of the comment period, which is Oct. 31, 2018. Comments should be identified by Docket ID No. 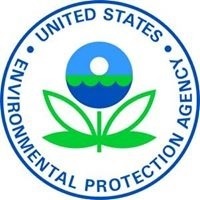 EPA-HQ-OAR-2017-0355 and may be submitted by one of the methods listed on the ACE proposal: How to Comment web page (https://www.epa.gov/stationary-sources-air-pollution/affordable-clean-energy-rule-proposal-how-comment). ACE aligns regulations under CAA section 111(d) to give states adequate time and flexibility to develop their state plans. EPA projects that replacing the CPP with the proposal could provide $400 million in annual net benefits. The ACE Rule would reduce the compliance burden by up to $400 million per year when compared to CPP. All four scenarios find that the proposal will reduce CO2 emissions from their current level.